Choosing Joy: Black Friday Giveaway Day 5- MakeaSTATEment State Bracelets! Black Friday Giveaway Day 5- MakeaSTATEment State Bracelets! Are y'all enjoying is week of giveaways?? I'm super excited about today's giveaway! Hey y'all!! Thanks so much for having me Jenna!!! My name is Allie and I am a stay at home momma to 4 little studs from the Buckeye state! 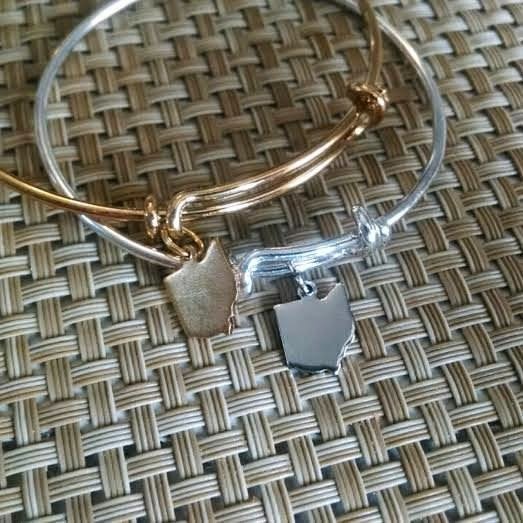 One day I decided that I wanted a cute way to represent my home state and decided on a charm bangle! Sadly I am only from Ohio so my charm story is a short one. The cool thing about these is customizing them to your life. 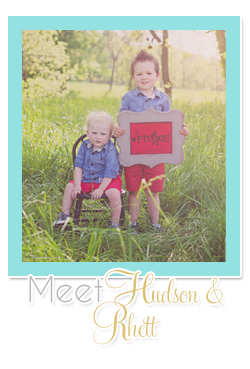 A lot of customers have moved states and include each state they have lived in or each state their children were born in. It's a cool and subtle way to be reminded each day of where you have been and where you now are! Please use code JENNA15 for 15% off the shop! Be sure to order by Dec 9th to insure Christmas shipping!!! Hope you guys have an amazing holiday! God Bless! So Allie is SUPER sweet and has decided give one of her custom state bracelets away to one of y'all!!!! You can enter in the Rafflecopter below! 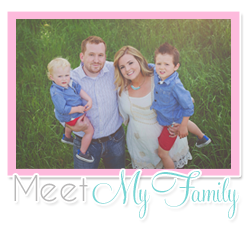 Also don't forget to check out the previous giveaways this week: YoungLiving giveaway,the Jamberry giveaway,the cookie giveaway AND the ornament giveaway! I have always wanted some gold bangles but never knew what to have on them! I would totally get MN! love this so much! Would love to give this to my dear friend who used to live in Ohio, then Pennsylvania and now Wisconsin. These are so adorable. I <3 Oklahoma, Missouri and Florida. Mississippi and Tennessee because those are the states where I grew up and now live. So cute! Arkansas, Texas and Missouri - those are the states I've lived in! These bracelets are so cute! Super cute idea! I've lived in Kansas and currently in Washington. I like the "Let it snow" print! I would have the state of Michigan! I love that she is from Ohio and did this because state love seems like a southern thing. Way to go, Allie, and super cute bracelets!! So cute! 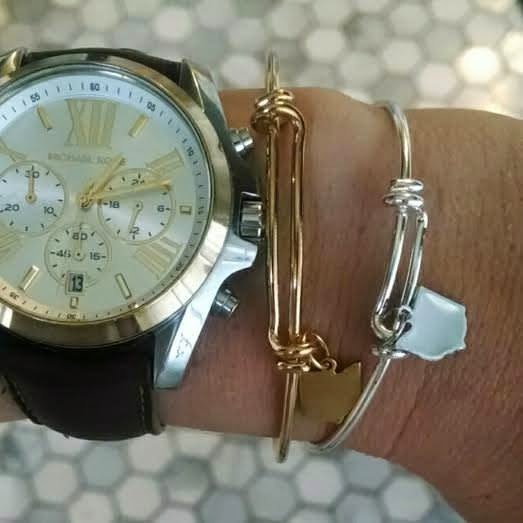 I love this kind of bracelet - no silly clasps to deal with. I like the candy cane print! I'd pick AR, MO, and MS, for my SIL! 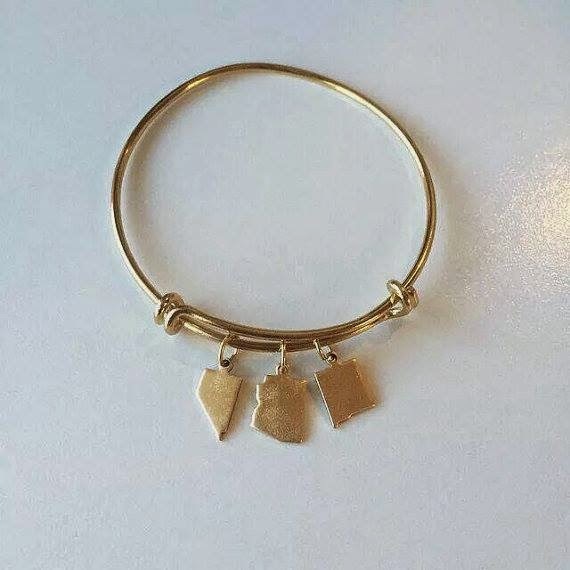 Would love this bracelet to represent Kansas! Reindeer Games is so cute! I have that on my thumbs right now, with Candy Cane on all the others - adorable! Message me on my Facebook page, or email me at laurasniderjams@yahoo.com, and I would love to send you a free sample and some helpful hints! I felt the same way! In fact, it was a full 14 months after I first heard of Jamberry that I got up the nerve to try them!! Once I did, I was hooked! I will tell you that there is a bit of a learning curve (like polishing your nails with your non-dominant hand, applying Jams on the same hand takes a little practice), but I can do a full manicure in about 15-20 minutes now! I'd love to send you a free sample to practice with - just message me your address on my facebook page, or email me at laurasniderjams@yahoo.com! Have you seen it paired with Diamond Dust Sparkle?! Jamazing! Let me know (through my Facebook page or at laurasniderjams@yahoo.com) if you would like to try a sample wrap! I would love to send one out to you! Me, too! That's the one I'm wearing now - my first Christmas Jamicure!! My all-time favorite Christmas wrap!! Check out my Facebook page, www.facebook.com/laurasniderjams, and scroll through for a gorgeous look with an accent of black/red tips! Message or email me (laurasniderjams@yahoo.com) for a free sample to practice with! I can't keep this one in my stash!! I LOVE it! My hairdresser did a pedicure with it - ADORABLE!! Awesome!! Are you already a devoted user? If you are looking for a place to order, check out my website: http://www.laurasnider.jamberrynails.net! Me, too! I currently have the Icy Taupe and Icy Boysenberry :) Let me know if I can send you a free sample to try out! www.facebook.com/laurasniderjams or laurasniderjams@yahoo.com! I know!! Be sure to snag that one while it's available! It's only around for December! www.laurasnider.jamberrynails.net! I love those! I happen to have two of each design on hand - if you'd like them, send me a message on Facebook or at laurasniderjams@yahoo.com. Since I have them here, I can save you shipping on them!! So pretty! I would love to send you a free sample if you haven't tried Jamberry before (or even if you have!!). Just send me a message through Facebook or at laurasniderjams@yahoo.com! It's perfect for some many things! Classic with a little modern twist!! If you would like to try a free Jamberry sample, message me through my Facebook page, or email me at laurasniderjams@yahoo.com. So pretty and dainty!! Have you every tried Jamberry? I would be delighted to send you a free sample - just message me through my Facebook page or email me at laurasniderjams@yahoo.com, and I'll get one sent out, along with some tips and tricks! I have three of the boysenberry wraps - the color is gorgeous!! Sometimes it looks purple, sometimes dark burgundy - I love it!! I would be more than happy to send you a free Jamberry sample, if you'd like to give it a try! Just message me through my Facebook page, www.facebook.com/laurasniderjams or email me at laurasniderjams@yahoo.com. I'll get a sample right out to you! I would LOVE the chevron print! so cute! This is my very favorite holiday wrap!! Scroll through my facebook page, https://www.facebook.com/laurasniderjams, and look for the picture of these with a combo black/red tip accent nail - gorgeous!! I have the Icy Taupe Polka and the Icy Boysenberry Polka - love them all!! Isn't it beautiful!! It's offered exclusively this month!! I keep that one in my stash -I love it! You might want to consider an online/Facebook party - you invite, I do all the work, and you get tons of free or half-price items! I do understand budget issues! I have several of the Boysenberry wraps - they are such a gorgeous color! Sometimes it looks purple, sometimes a deep burgundy!! I have several of the chevron prints - they are fun to mingle in with other prints for a cute accent nail!! Contact me if you would like a sample to try out! !